Reshape your smartphone experience with a home screen that streams your favorite content, a photo gallery that comes to life, dual frontal stereo speakers that offer sharper, richer sound, and more—all in a rugged yet sleek full metal body. Get higher quality pictures with an all-new HTC UltraPixel Camera that captures 300% more light. Your life never stands still, now your photos won’t either. With HTC Zoe™ your gallery is brought to life. 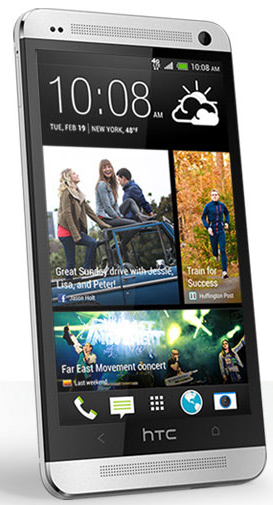 With one press of the shutter button, HTC Zoe can capture up to 20 photos and a 3-second video. Introducing HTC BoomSound™, an innovation that delivers dual frontal stereo speakers powered by built-in amplifiers for sharper, richer sound. Calls are clearer. Music sounds like music. And movies draw you into the drama. The HTC One is amazing. A must buy phone for Android lovers.